It’s been a wild ride thus far – and it’s about to get wilder. The Artesia High School basketball teams will kick off the “second season” of District 4-AAAAA Friday, welcoming the Wildcats of Lovington into the hopefully-hostile confines of Bulldog Pit. The Bulldogs and Lady Bulldogs turned in overall solid regular-season slates against a murderer’s row of opponents. And with all D4 squads ranked in the top 15 in Class 5A, they know they’ll have to lean heavily on that experience if they want to compete for the crown. “I think our district is tough, as usual,” Lady ‘Dog head coach Jeff Houghtaling said today. “If you look back over the last few years, Lovington is not far removed from a couple of state championships as a 4A team, Roswell won the state championship two years ago, and Goddard won it last year. Houghtaling says the Lady Coyotes of Roswell High are also a force to be reckoned with and that Lovington could play a sleeper role. Boys’ head coach Michael Mondragon is also anticipating a battle royale for this year’s District 4 title. “I think we’ve got the toughest district in the state, one through four,” Mondragon said today. “If you look at the MaxPreps rankings, Goddard is No. 13, Lovington 11, us at seven, and Roswell at four. Every night, you have to come ready to play. There aren’t going to be any cake games. The Artesia girls (11-9) will usher in Friday’s evening of basketball at the Pit, taking on the Lady ‘Cats (8-12) at 5:30p.m. The teams’ list of common opponents shows similar results. Both squads – along with most everyone else in the state – were on the short end of lopsided losses to Class 6A Carlsbad this year. 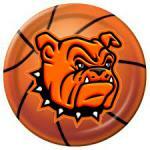 The Lady ‘Dogs handled 6A Clovis with little difficulty Jan. 5, 56-38, while Lovington came up short Dec. 5, 46-26. Both were defeated by Silver, Artesia by seven points, 50-43, and the Wildcats by 17, 45-28. The ‘Dogs and ‘Cats had decisive wins over Ruidoso and Chaparral, sizable losses to Portales, and – most recently – the Lady Wildcats were topped by Alamogordo, 51-32, while Artesia fell to the Lady Tigers 45-42. Houghtaling said his athletes have spent the past few days reviewing film on Lovington but that at this point in the season, it comes down to being prepared for any and every eventuality. “You never can tell,” said the coach. “By this time, everybody’s played so many games it seems like everybody’s tried about everything they can – zone, man, pressure, no pressure. 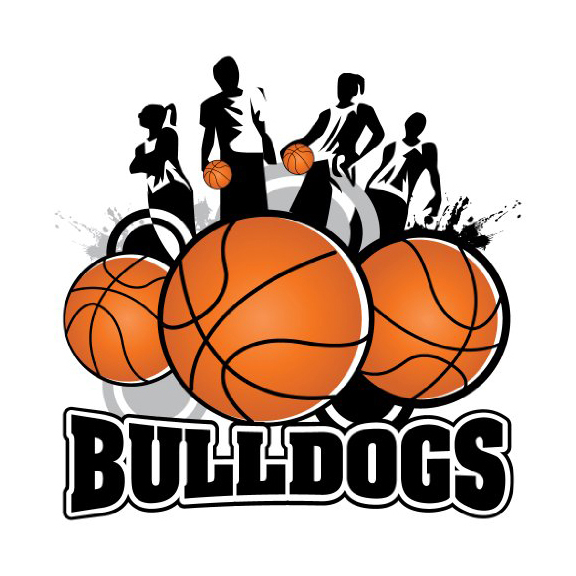 Houghtaling said he feels the Lady Bulldogs’ regular-season scheduled prepared them well for district, and he’s looking forward to seeing his players put that preparation into practice. At 7 p.m. Friday, the Bulldogs (13-6) will take the court against the Wildcats (10-10) for a rematch of their Dec. 30 Poe Corn Invitational third-place game meeting, which the ‘Dogs took by a final of 47-36. The ‘Cats’ 6-foot senior guard Alijah Ballard did the bulk of their damage at the Poe Corn, logging 19 against Artesia. But he posted the majority of those points early in the contest and was better-contained by the ‘Dogs’ D as the game progressed. The Bulldogs and Wildcats have several other opponents in common this season. Both came up well short of Class 5A power Santa Fe Capital early in the season. Lovington fell to Class 6A Carlsbad 70-56 Dec. 9, while Artesia earned the split, losing their first meeting 51-42 before defeating the Cavemen 57-45 Jan. 16. The ‘Dogs also posted a win over 6A Hobbs, 83-78, while the Wildcats fell to the Eagles, 81-70. The ‘Cats defeated Gallup 73-67 Dec. 28 while the Bulldogs came up two points short of the Bengals in their second game of the year, 51-49. Artesia topped Goddard (50-39) while the Wildcats fell (68-33), both made short work of Chaparral, the Bulldogs split with Los Alamos (52-43 and 62-70) while Lovington defeated the Hilltoppers once (77-48), and both recently fell to Alamogordo: the ‘Dogs by three points Jan. 19 (50-47) and the ‘Cats by 18 Jan. 23 (77-59). Mondragon said the Bulldogs have spent their first full week of practice since before the season began reviewing the basics and recuperating from a season spent predominantly on the road. “The biggest thing for us right now is just fundamentals,” said the coach. “It’s always nice to have practice; we haven’t had any, and that’s the biggest thing. We had such a brutal schedule and such a road-heavy schedule this year that we haven’t really had a lot of time to just focus on us, so the last four days have been great. Both coaches say they hope to see a raucous crowd on hand Friday to take the energy to the next level as the Artesia teams vie for district-opening wins. “We haven’t been home much this year, as everybody knows, and so people haven’t really had a chance to see us play,” said Mondragon. “I just want to encourage the whole town to come out. We’ve got three more guaranteed home games, they’re three big district games, and it all starts tomorrow night.